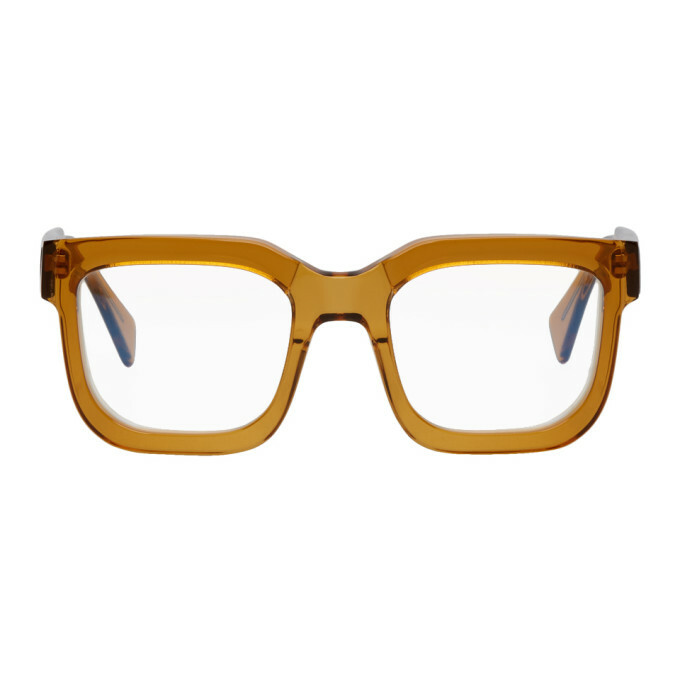 Kuboraum Orange K4 BM Glasses $410.00 Handcrafted square transparent acetate optical glasses in amber orange. Sculpted frame and temples. Integrated nose pads. Core wire at temples. Size 51.21 145.